Dustin has always been a cyclist at heart since he was young, but his interest in mountain biking and mountain bike racing took off in 2009 when he bought his first 29er and started riding at the Cadillac Pathway. Since then, he has been a true believer in the N+1 theory and all things cycling. 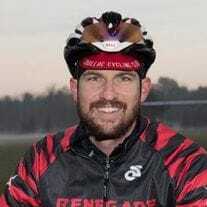 He enjoys riding with the Cadillac Cycling Club, as well as racing and supporting a variety of races around Michigan. When he isn't riding, racing, or building bikes, Dustin is teaching at Lake City High School, or spending time with his family and friends. Outside of cycling, Dustin also has a passion for sailing and spending time on the water.